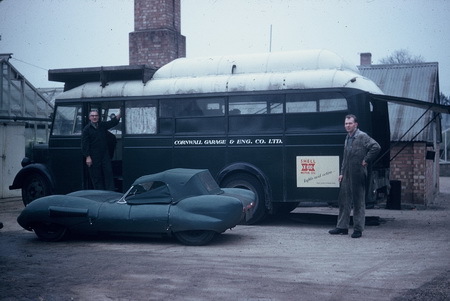 ☺ The former Lotus Team Bedford OWB Transporter was sold to the Cornwall Garage & Eng. Co Ltd. Team which worked with Lotus Eleven cars and also entered the F2 championship in 1959 with Cooper T43 F2 (Diver John Campbell-Jones). Available to order as 1/43rd scale kit or finished model. Copyright 2019 Merrymeet Model Cars.